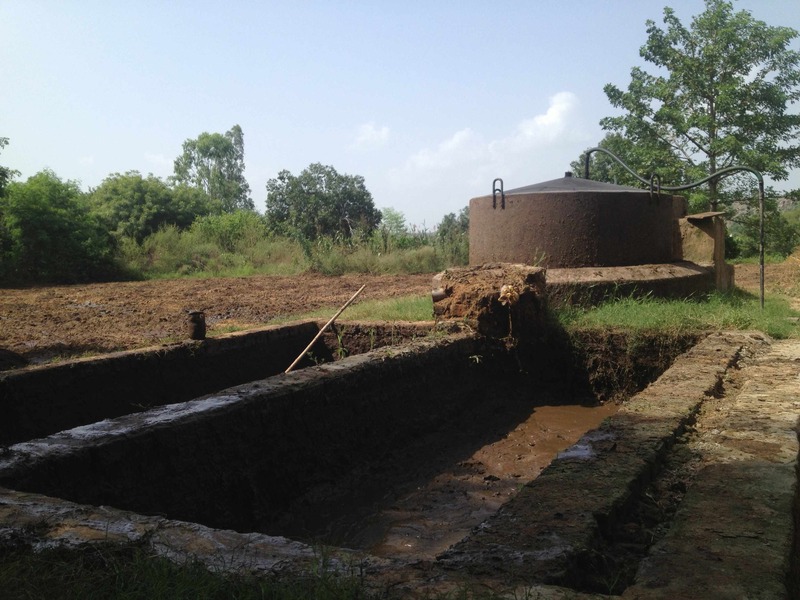 We evaluated different forms of the Gobar Gas plant, and settled on the (more expensive) Floating Drum type versus the Deenbandhu fixed dome – quite due to chance. I contacted many organizations and people for the reference of a plant technical expert, to no avail till I called KVIC in Delhi and a sympathetic voice referred me to 60-something Ramesh Saxena. Now he only designs large sized Floating Drum types for institutions and people who can spend, as he says individual farmers don’t. The cost is ~ Rs. 100,000 for a 5 cubic foot plant (Vs Rs. 40,000 for a fixed dome). Saxenaji is a wonderfully man; competent, efficient, timely, gentle and sincere. He has supervised the construction of thousands of gobar gas plants in his 30 year career, and he recollected the heady times in the 80s when cheap Deenbandhu plants were setup by farmers more interested in eating the subsidy money than understanding the use and benefits of the plant. Most of those plants are no longer in use, constructed as they were with poor cement and other materials. How much waste & corruption in the name of subsidy, in the name of giving away things free – everyone teams up to cheat the system. It’s not just the politicians, bureaucrats and businesses are corrupt, the proclivity of the average farmer to cheat when left unchecked is breathtaking. It took us all of March and some of April 2013 to setup and make operational the 5 cubic feet plant under Saxanaji’s supervision and my manager Abdul Sattar’s execution, and it works exceedingly well. Our 10 head of cattle (cows and calves) produce 70-80 kg of dung each day. 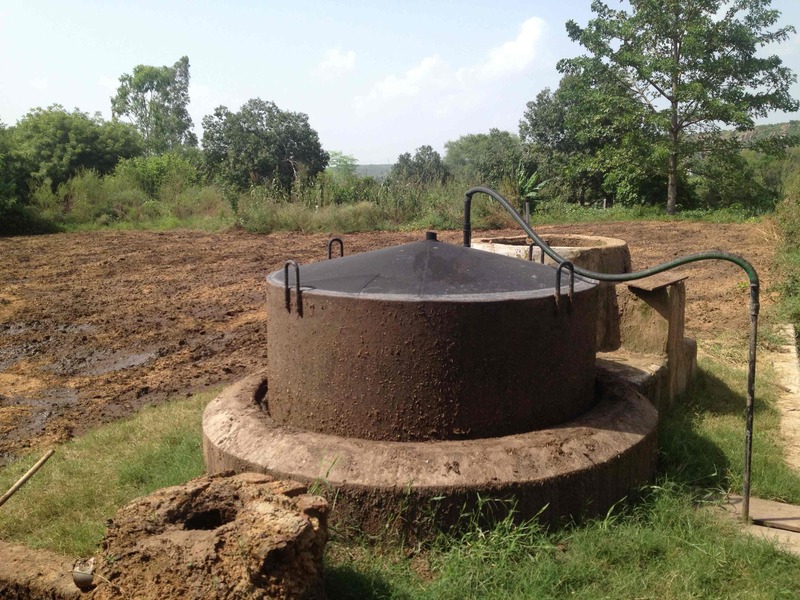 All this gobar goes into the plant which generates methane for cooking food daily on our special gobar gas burner for our 5 farmers, cooking feed for the cows, and making ghee on a weekly basis. I am told this will last as is for a score of years, and all we need to do is paint the drum black each year to ensure it doesn’t rust and absorbs heat effectively. 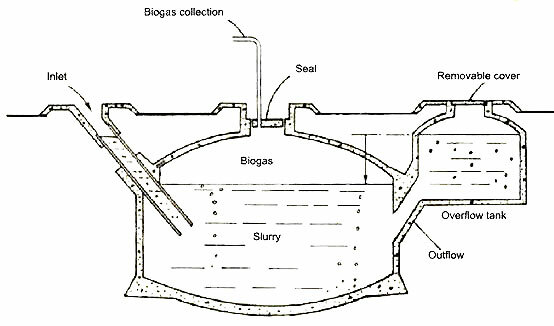 Water addition to the gobar to make the slurry is critical : more when summer, less in winter. Quite simple. Ramesh Saxena lives in Ghaziabad, UP and can be reached on +91 9873980632. Here is material culled from the Internet. Feel free to write in for any assistance. 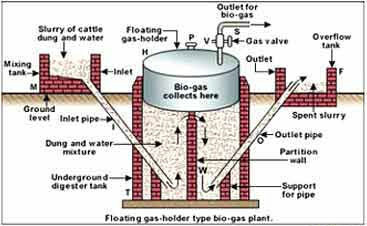 I want to make a gobar gas plant.